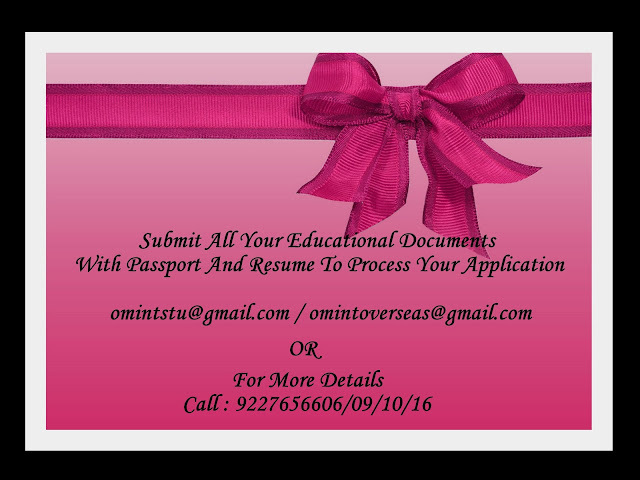 OM VISA Consultancy - Global Immigration, Students, Visitor, Business & Work VISA Consultants: STUDY IN MASSEY UNIVERSITY (NEW ZEALAND) (With attractive scholarships upto NZD $ 20,000), Today is an Opportunity to get better Don't Waste it, Enroll with Gujarat's Leading Visa Consultancy "Om International"
STUDY IN MASSEY UNIVERSITY (NEW ZEALAND) (With attractive scholarships upto NZD $ 20,000), Today is an Opportunity to get better Don't Waste it, Enroll with Gujarat's Leading Visa Consultancy "Om International"
Massey University's governing body is the University Council. The qualifications are recognised worldwide and several programmes have international accreditation. It is among the top three New Zealand universities in winning external research income.